Mac no longer uses the open source Samba software to share folders for Windows workstations. It has been replaced by Apple's own Windows file sharing software, which does not include some of the options required to support WindowsHarmony clients. By default, Samba is not set up to run automatically on Mac OS X. In the Internet & Wireless section, click Sharing. In the Services section, select the File Sharing option. In the Shared Folders section, click the plus (+) sign. 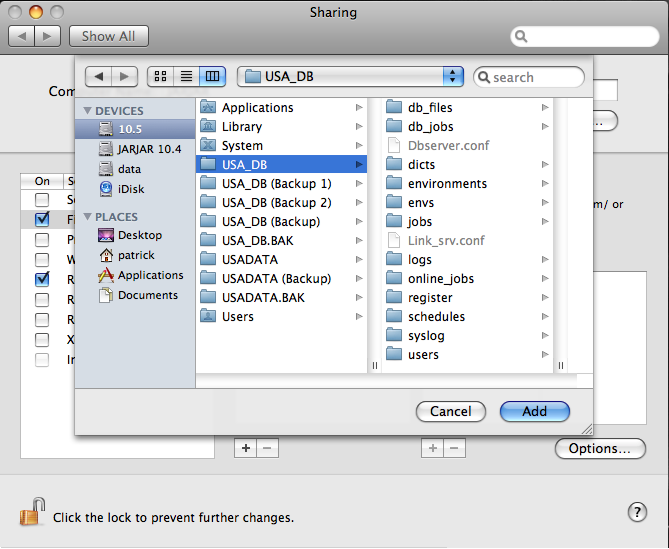 Browse and select the /USA_DB folder. Make sure to give the usabatch account Read and Write permissions to the USA_DB, USADATA and /Applications/Toon Boom Harmony [version] [edition]/tba folders. 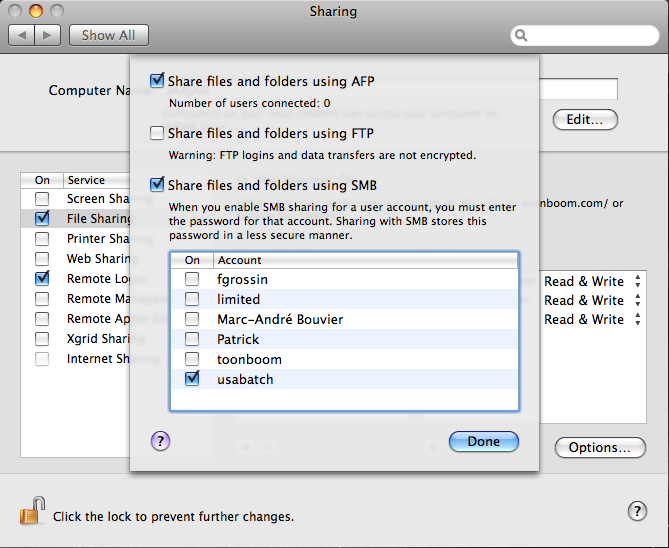 Select the Share files and folders using SMB option. Select the usabatch option and click Done. Verify that the tba name is now usa.